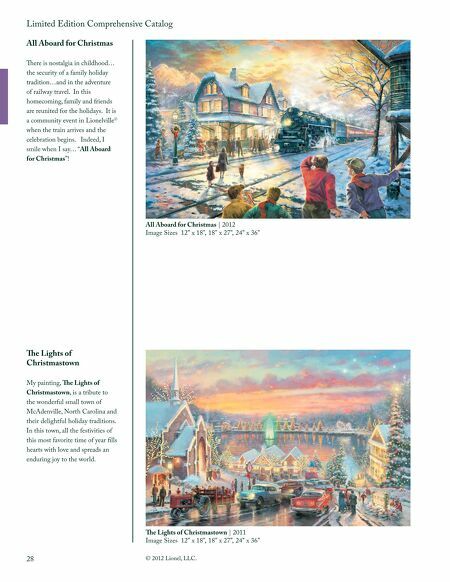 Limited Edition Comprehensive Catalog All Aboard for Christmas There is nostalgia in childhood��� the security of a family holiday tradition���and in the adventure of railway travel. In this homecoming, family and friends are reunited for the holidays. It is a community event in Lionelville�� when the train arrives and the celebration begins. Indeed, I smile when I say��� ���All Aboard for Christmas���! All Aboard for Christmas | 2012 Image Sizes 12" x 18", 18" x 27", 24" x 36" The Lights of Christmastown My painting, The Lights of Christmastown, is a tribute to the wonderful small town of McAdenville, North Carolina and their delightful holiday traditions. In this town, all the festivities of this most favorite time of year fills hearts with love and spreads an enduring joy to the world. 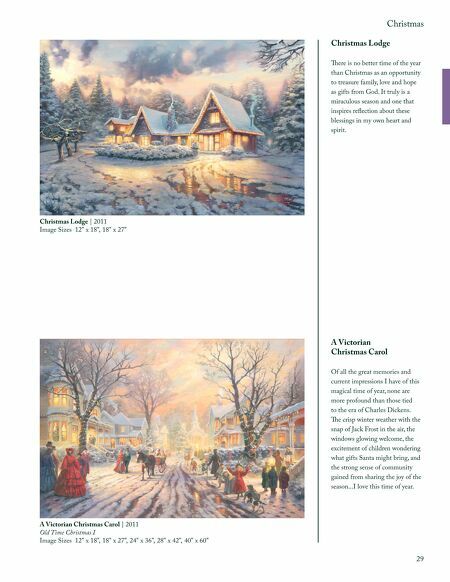 The Lights of Christmastown | 2011 Image Sizes 12" x 18", 18" x 27", 24" x 36" 28 �� 2012 Lionel, LLC.